Toronto Krav Maga Academy (TKMA): Continuing Education For Self Defense Instructors: 5 Benefits for Instructors and their Students. Continuing Education For Self Defense Instructors: 5 Benefits for Instructors and their Students. Krav Maga classes focus on students and improving their capacities to protect themselves in real life situations. What is overlooked, at times, is instructor development. Instructors can be busy, or so focused on students that they neglect their own development as instructors, practitioners, and business people. They must continue to learn and grow. One way to do this is through continuing education programs. 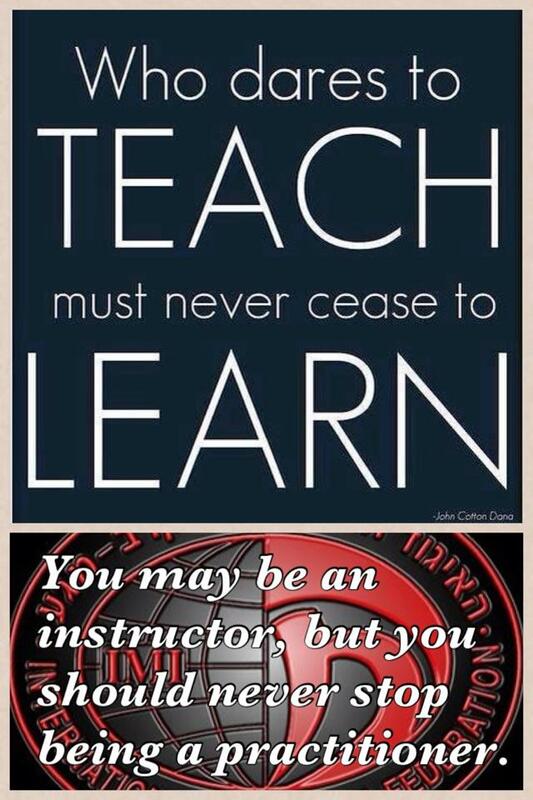 Instructors with the International Krav Maga Federation (IKMF), for example, are required to participate in an annual Instructor Renewal. This program is 4 days (8 hours/a day) and involves training with a member of the Global Instructor Team (GIT) to refine skills, learn new techniques, receive curriculum updates, share effective teaching strategies and to upgrade their level. This training is essential to instructor development. Here are 5 benefits. Curriculum Updates. Techniques are refined or changed to make them more effective. Instructors need to be aware of these so they can pass them on to their students. Refine Technical Skills. There is always something we can improve upon. Working with someone with more expertise/experience is an opportunity to become a better practitioner. Teaching Tips. Members of the GIT are excellent as are the other instructors participating in the program. They offer innovative and creative teaching methods, exercises...etc for you to try at your own school. Connectedness. Training with other instructors is a reminder that you are part of something bigger than your particular school. 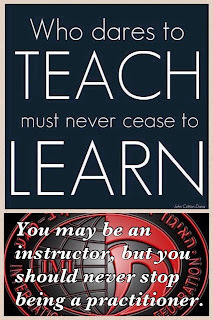 Instructors all over the globe can relate to your experiences. Inspiration: There is something inspiring about a group of instructors striving to improve their craft. Returning to your school with better skills, fresh ideas, and the feeling you are part of something bigger is invigorating. Enriching yourself as an instructor will benefit your students, develop your skills, and feed the passion that inspires you to teach.